For ComplexCon 2016, Future Wife created Baburu ( バブル), aka “Bubble” in Japanese. 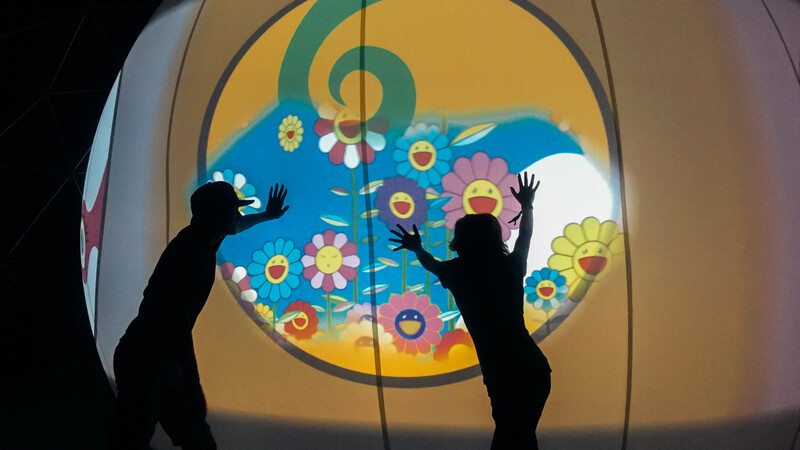 A marriage of touch, sight and sound, the installation was a collaboration with the music of Skrillex and artwork of Takashi Murakami. 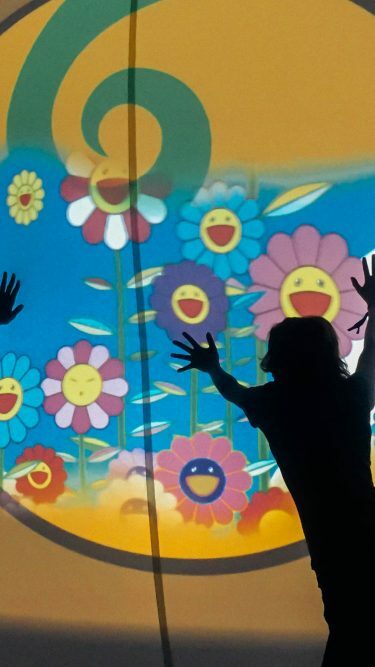 Baburu ( バブル) was the collaborative manifestation of the auditory and visual world of Skrillex colliding with the artwork of Murakami and the interactive visual realm of Future Wife. As ComplexCon revolves around the interfacing of numerous separate entities to build on its theme of complexity, Future Wife played off this by bringing together two of ComplexCon’s most influential entities. Driven by touch, the installation came alive quite literally in the hands of ComplexCon attendees. Guests played with and manipulated the art by pressing on its exterior with whatever appendages suited them. Interaction distorted the soft sphere, manipulating the auditory and visual environment around them. Synesthesia ensued!